Media – Page 2 – The Lee Bros.
Time for Watermelon Rind Preserves! It’s blazing hot out, almost August, time of year for Watermelon Rind Preserves! And Kat Kinsman, the brilliant writer/editrix of the new breakfast website Extra Crispy has written a wonderful and funny headnote to go along with our recipe. Check it out here! Cook our Deviled Crab with Mind of a Chef! The website for the fantastic PBS series Mind of A Chef just posted the recipe and clip from that time we made Deviled Crabs with chef Sean Brock. Happy cooking! Click here. We’re often asked, “Where’s your restaurant?” and though we don’t have one (thank heavens! ), we’ve recently found a solution to the challenge of how to share our food with groups of people, both visitors and locals, in Charleston. Thanks to our collaboration with Duvall Events, the preeminent caterer in the Charleston area, we are able to bring breakfasts, lunches and dinners of our own design to you, in settings ranging from restaurant-like dining rooms to private homes, yachts, creekside shrimp docks, large halls–you name it. We design a menu (with wine pairings if you wish) for you and your group, and supervise and help produce, from purchasing to quality control to prep–we even chop onions. We can host or preside at your event, say a few words or an entire lecture, mingle at cocktail hour or sit down and join you for the entire affair. Duvall Events’ expert chefs, service staff and logistics experts make it happen with professionalism and grace. Groups who have booked us in the past especially appreciate the “high touch” we bring, the depth of information about Charleston, its people, ingredients and traditions, that extra connection to the place that makes the time you spend here truly distinctive and meaningful. If you are interested in finding out more about this kind of experience, please give Duvall Events a call at 843-763-9222 and ask for Emma Lesesne-Booth. We look forward to working with you! Join us at the Atlanta Food and Wine Festival! We are curating the experience (and choosing the menu!) at two incredible Connoisseur dinners at the Atlanta Food and Wine Festival, this June 3rd and 4th. Join us as we place the best chefs from across the south in collaboration with each other–with wine pairings to match. More info at this link. Ted wrote a “Comfort Food Diary” for SeriousEats! Ted’s poignant essay on coming-of-age and eating Dad’s chipped beef appeared on SeriousEats.com recently, in their popular “Comfort Food Diaries” series, and got great pick-up on social media! To read it, click here. “Mind of A Chef” asks Matt for his Kitchen Playlist! The folks behind the brilliant PBS Television series “Mind of a Chef,” recently asked both Matt and Ted to contribute each of their favorite kitchen playlists to the “Omakasette” page of their website. For Matt’s “Beats for Shucking Oysters and Picking Blue Crabs,” click here. Cookbook Identity-Crisis: Is It About Me, Or The Restaurant? #3 in a Series of Posts About the Decisions You Need to Make If You Want to Publish A Cookbook. The French Laundry Cookbook, The Gramercy Tavern Cookbook, The Big Jones Cookbook, The Balthazar Cookbook, The Hali’imaile General Store Cookbook, NOMA. If you love cookbooks and you love dining out in restaurants, you know the pleasure — and the minor miracle — of a cookbook that’s a total immersion, via words, images, recipes, in the experience of dining in that restaurant. And if you’re a chef-owner or chef-partner who wants to write a cookbook, you’ll need to think seriously about whether you want your book to be this kind of “restaurant book” — or something else entirely. First: Do you own your restaurant? And are you fairly certain of its longevity? If you answered YES, then great —this decision will be easier for you! But if you have partners and investors, you’ll want to make absolutely clear from the get-go that all parties are in agreement on how the business of the book flows. If you’re putting in most of the time working on the book (it will take about 2-4 years on average, from inception to publication), it stands to reason you should reap a greater share of the reward. But if you don’t spell it out from the beginning, there are loads of opportunities for misunderstanding – and we’ve seen it happen. We know a chef who put in a lot of work creating the restaurant’s cookbook and by the time it was published, he’d been relieved of his post there (obviously, not an optimal situation!). Signing on to do a cookbook is a long haul and a ton of work even when all is going well; the last thing you want to do is get stymied or change course mid-stream by the kinds of changes that are de rigeur in the business: you switched jobs; you lost your lease. Second: Is the idea for your book larger than your establishment? Maybe you don’t want to be limited by a cookbook that’s exclusively a tribute to your restaurant and the style of cooking you do there. One great example: the award-winning Cooking In the Moment, by Andrea Reusing. Andrea is the much-laureled chef of Lantern, a fantastic Asian restaurant in Chapel Hill. And as much as we — for our own selfish reasons! — wished we had every recipe from Lantern’s repertoire on our bookshelf, Andrea clearly wanted her first book to be about her style of cooking — improvisatory and influenced by season, mood, kids, friends and colleagues, to name a few. 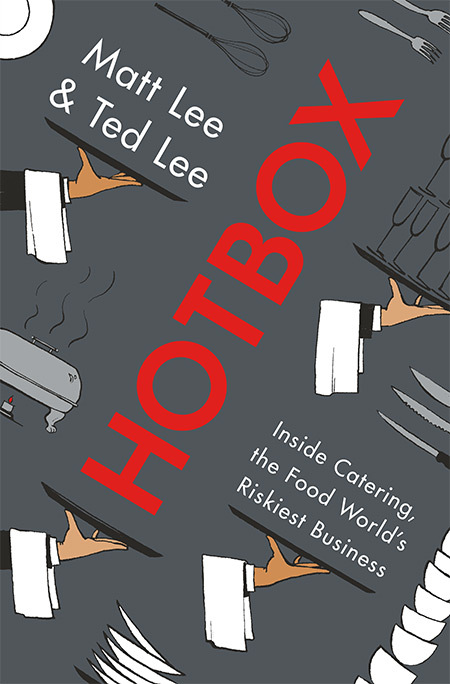 It’s at once a very personal book, but also broader in its appeal, since it appeals to every cook at every level and doesn’t require an iota of connection with her restaurant for a reader to get satisfaction. If you want to workshop your cookbook idea and explore more about the issues involved in making the decision whether to write a tribute to your restaurant or a cookbook with broader appeal, join us at our January 2017 session of Cookbook Boot Camp. For more info, visit Cookbookbootcamp.com. Do I Need an Agent? And How? #2 in a Series of Posts About the Decisions You Need to Make If You Want to Publish A Cookbook. One of the first questions chefs typically ask us about cookbook publishing has nothing to do with writing or recipes but rather the business end: Do I need an agent? Many of these chefs have heard (from peers who’ve written cookbooks) that literary agents typically take 15 – 20 % of an author’s advance payments; and, being shrewd businesspeople, they’re thinking: Do I really want to give that up? We always advise chefs who want to publish a cookbook nationally to get an agent. Especially if you’re new to publishing, it’s highly unlikely you have a personal rapport with a great number of the cookbook editors who are the audience for your proposal. And a good agent knows all of them — which is key, because ideally, you want your proposal seen by the largest pool of interested editors possible. Agents serve many functions: they send your proposal to the editors at publishing houses who will be the ones reading it and then deciding if they want to make an offer. They will be the ones following up with any editors they haven’t heard from — and remember, since they only get paid when you get paid, they tend to be tenacious beyond belief! Your agent is also, if you choose well, the person most capable of steering editors’ interest in your proposal toward the best possible deal for you. How do I get an agent? The best way is by referral. Ask chefs whose cookbooks you admire who their agents are — and you might even solicit a personal opinion of their performance at the same time. Your goal, once you have your proposal in hand, should be to send it to a handful of agents and to meet with the ones who express interest, much in the same way your agent will send it to the widest possible net. There are as many styles of agenting as there are agents, as you might imagine. Some are more nurturing and hand-holding, and get involved in your manuscript from an editorial perspective; others are more brass-tacks, investing a lot of time in the strategy of the deal, but pretty much let you go own way until you call upon them to assist. The best way to get a sense of what kind of agent you might want is to meet with as many as possible, and to trust your instincts: is this someone I can see myself doing business with over the long haul? In the best-scenario, this is someone you’ll be doing business with not just for book, but for two, three and four as well! For more detailed information on agents – and the questions to ask during your agent meetings, join us at our January 2017 session of Cookbook Boot Camp. For more info, visit Cookbookbootcamp.com. In the next post in the series, number three, it’s about the idea for your cookbook: Is it about me, or the restaurant? So You Want To Write A Cookbook! #1 in a Series of Posts About the Decisions You Need to Make If You Want to Publish A Cookbook. Quick story: In 2003, we sold our first cookbook to W.W. Norton & Company based on a 40-page proposal. When news about the deal got around in our hometown, a chef-friend approached us saying he wanted to publish a cookbook, too, and asked us if we would introduce him to our agent. We were delighted to help him out, and our agent was thrilled to be introduced to a potential client, so they met in New York a couple times, and hit it off. Fast-forward to 2015 —almost thirteen years later! — and that chef has yet to deliver the proposal for his cookbook to our agent. What happened? Well, in the intervening years, that chef wasn’t exactly sitting on his hands. He won significant national chef awards; he opened a second, larger restaurant that is wildly successful; he got married and had a baby. But if we asked him if he wished his cookbook had been published in time to capitalize on all the success he’s had, we’re 100% certain we know the answer! In short, that chef simply didn’t make — and act upon — the first of several key decisions you need to make when you set out to publish a cookbook: Am I going to write the book myself? Or am I going to hire a collaborator to do the writing? The sooner you get honest with yourself about whether you’re 1) a good enough writer and whether you 2) have the time to spare, the sooner you will be on your way to publishing. You could be the best writer among chefs, but if you’re too busy to make time for it, your book will never see the light of day. In Cookbook Boot Camp, we take chefs through writing and mental exercises aimed at getting them to decide whether to write the book themselves or to work with a co-writer and – once they’ve made that decision — to furnish them with our best-practices for working efficiently and productively, either alone or with a collaborator (and: how to find a collaborator?!). There’s no right or wrong answer here; chefs have written award-winning cookbooks on their own, and chefs with collaborators (David Chang, April Bloomfield, Eric Ripert to name a few) have written stellar cookbooks. The only wrong move here — if you really want to write a cookbook — is to avoid making this decision at all. If you don’t, the cookbook simply won’t happen! In next week’s installment, decision 2: Should I get an agent? For more information on or to register for Cookbook Boot Camp, go to Cookbookbootcamp.com. 1. The book proposal can be brief. 2. Once your proposal is done, and before you sign a deal, you are at your most powerful in publishing. 3. Publishers know restaurant chefs can, at a minimum, sell books through their restaurants, and this contributes to editors’ eagerness to publish–and to pay bigger advances–to chefs with a successful business. 4. No matter what you do, you can be confident that your best recipes are different from everyone else’s. Don’t be concerned about originality; you are already unique. 5. Every step of the process can be outsourced. 1. While the typical proposal runs to about 35 pages, some books have been sold on a paragraph (we know from personal experience!). Put together a strong mission statement and 10 of your best recipes and you’re probably over this mark. The entire process of creating the proposal will take a lot of thinking and conceptualizing, but may be the easiest, quickest skirmish in the creation of your cookbook; creating the full manuscript will be the drawn-out battle. 2. Editors are motivated by great ideas but also by the fear that their competitors will grab you before they do. Keep hope alive, but also ask the tough questions now, before inking the deal: once you sign, you become a burden to the winning editor and persona non grata to the underbidding editors. 3. Books can be another dish to add to your menu. Once a ticket is open, adding the chef’s cookbook to it is a no-brainer. 4. As Mister Rogers said, there’s no one like you. Own every part of it, the trials and tribulations as well as the successes. 5. Writers for the proposal and manuscript, recipe-developers to transform your stained binder of material into something publishable, testers to make sure they work, art directors to run the photo shoot–you name it, there are plenty of talented and eager freelancers out there who would be thrilled to work on your project and won’t charge an arm and a leg. In fact, if it’s the difference between getting the cookbook done and it never happening, spending money on publishing teammates may be the best value in the world. If you are ready to explore cookbook-making with us in a two-day seminar that will educate you about the entire process, go to CookbookBootCamp.com to find out more and to register for one of these exciting and motivating sessions.